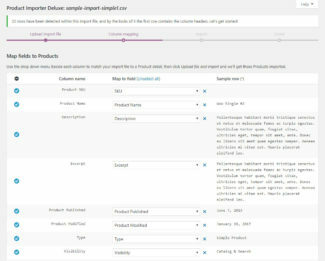 Mass import detailed Products into your WooCommerce store with ease. 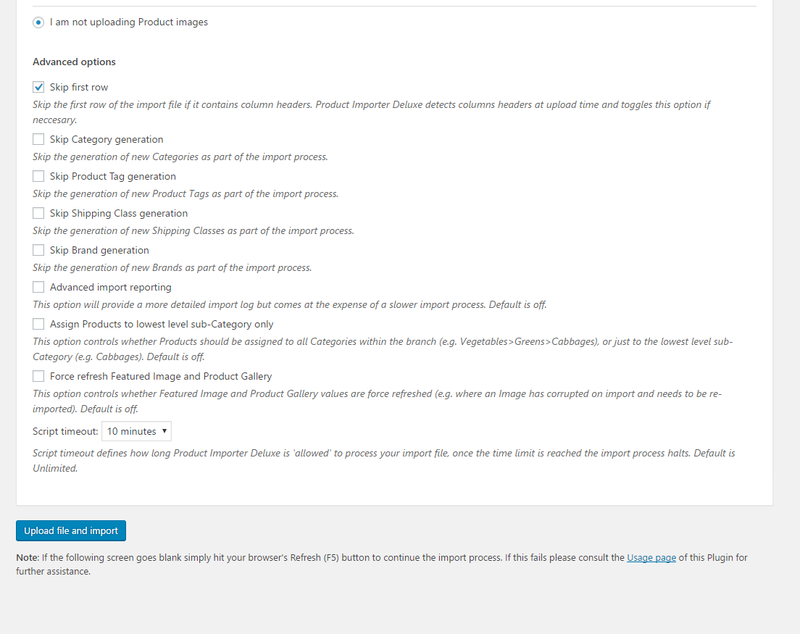 Product Importer Deluxe comes bundled with Store Exporter Deluxe so you're all set to export/import/migrate Products! 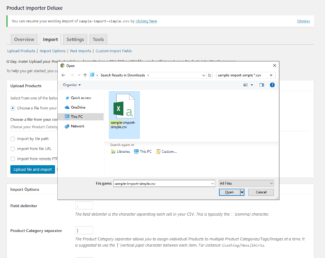 If I used Product Importer Deluxe in conjunction with Google Product Feed it generate a Fatal Error because code uses some function not present in the plugin (these functions are: jigo_pd_is_valid_gpf_availability, jigo_pd_is_valid_gpf_condition, jigo_pd_is_valid_gpf_gender, jigo_pd_is_valid_gpf_age_group). I solved temporary this problem by disabling these functions. I buy your fantastic plugin! 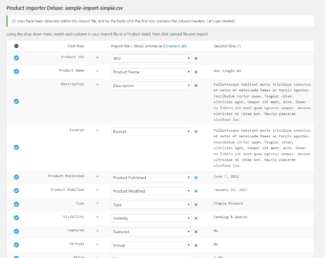 I try to import part of my product for test (I have more then 10.000 products). I have ONE ONLY PROBLEM: tax classes are not set! I think I discovered the error. Can you verify if it’s true? I made several tests and finally I found and fixed this small bug!!! If we insert manually a new product and set for it a tax class in the database we find meta key tax_classes and not meta key tax_class. After checking several times the name of the meta key saved, I went looking for the function where the meta key was inserted / updated. 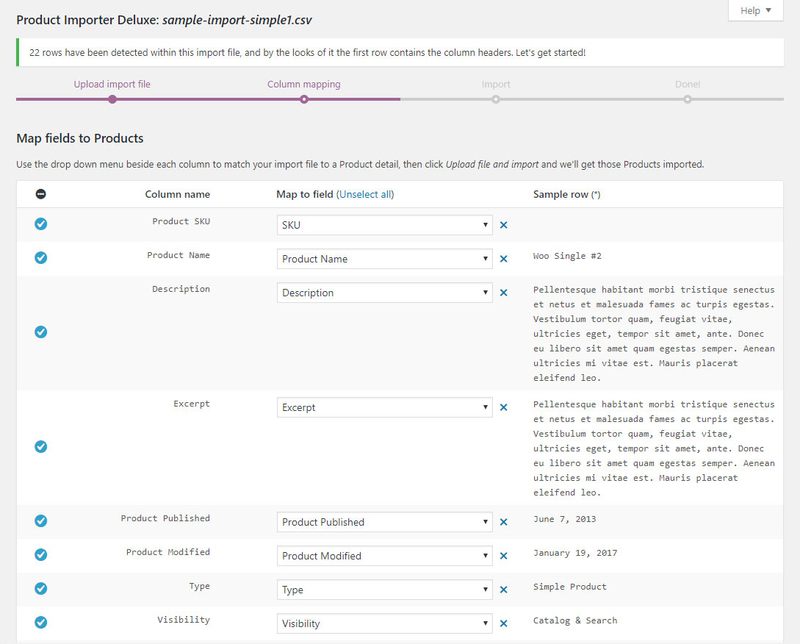 I tried again to import the products and tax classes now are saved correctly!!! For all the rest your plugin works fine! 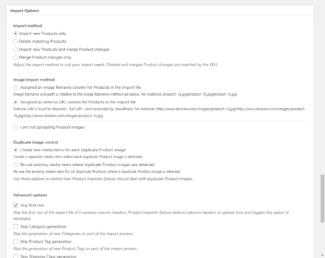 Hope this is useful for updating your fantastic plugin! 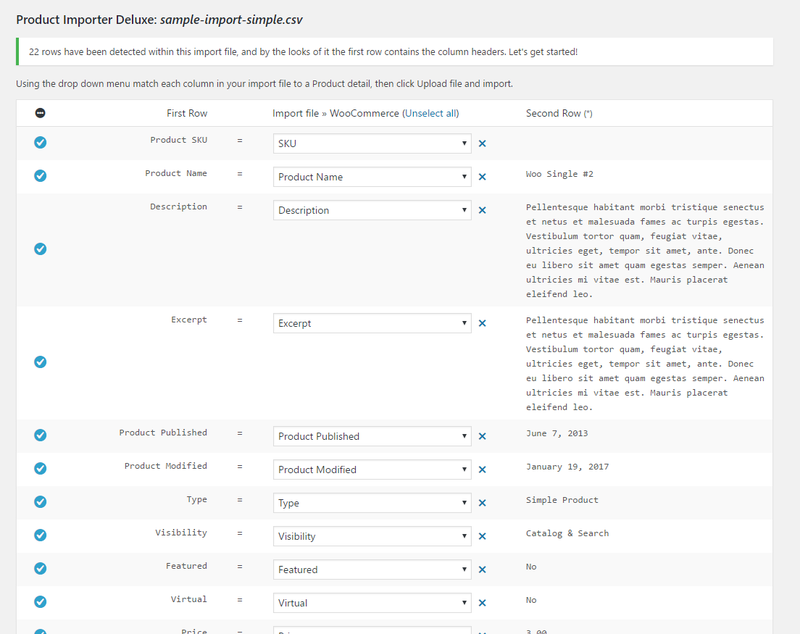 I bought the plugin “CSV Importer Deluxe” seems to work fine, except tax classes. It’s the same problem described by David in this post …. but, still following his instructions, did not get any results …. how can I fix this? Thank you. I was looking for the detailed instructions on how to use the extension. I have to turn over control of the web site to the owner and teach her how to you the importer. 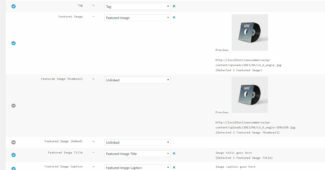 I am very interested in this plugin because in these days I’m doing the porting of my site to Jigoshop. 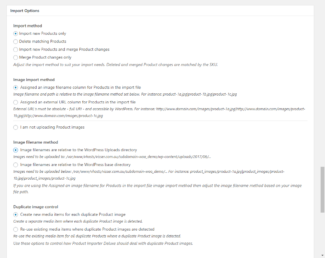 So I would like to have some additional information about the plugin. Can I assign a tax classes to the product? 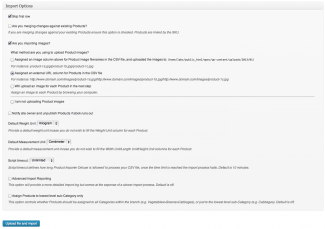 Can I assign product visibility? Can I assign one or more attributes for the product? Can I assign a stock quantity for the product? Hi Davide, you can assign Tax Classes. 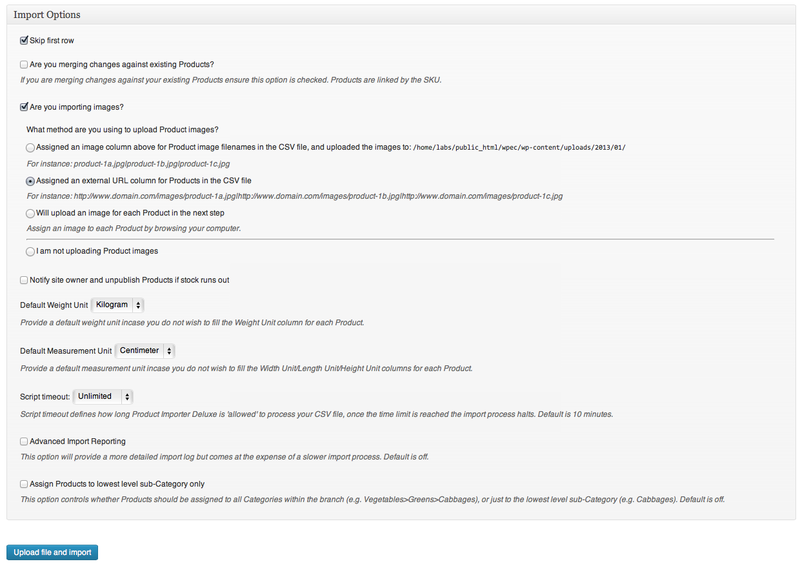 You can assign Product visibility. 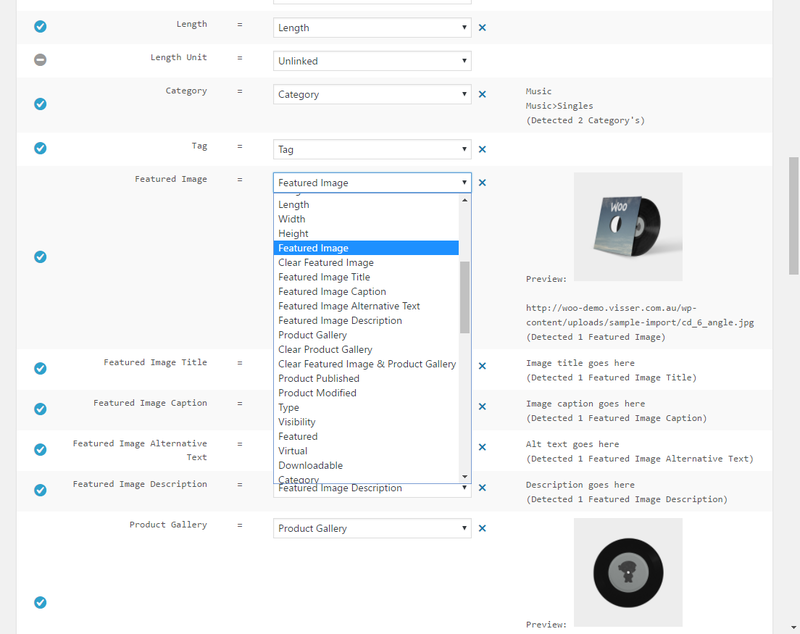 You can assign multiple Attributes using the Category separator character (defaults to ‘|’, pipe). 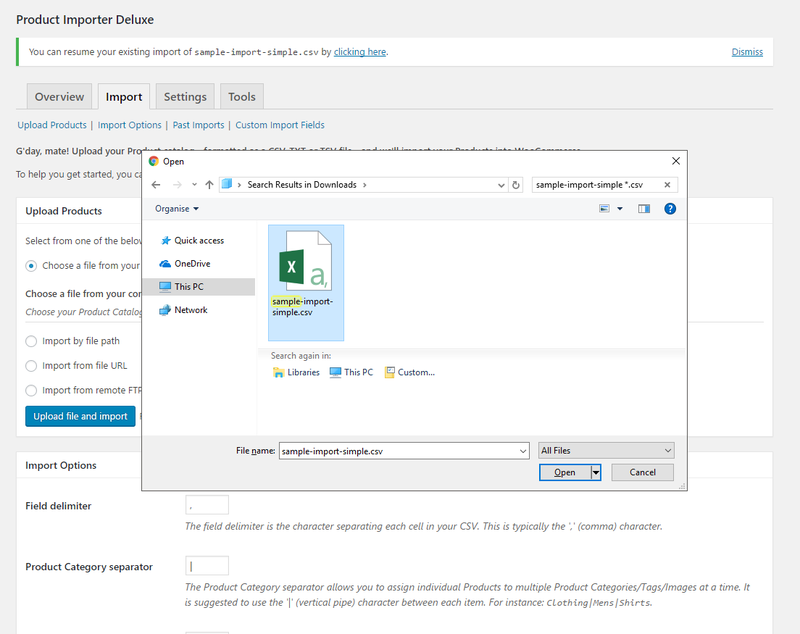 You can assign Stock Quantity, if you leave it empty it’s unlimited, if it’s set to ‘0’ it’s out of stock. Thanks for your quickly response, Michael. This is exactly the plugin I was looking for!!! 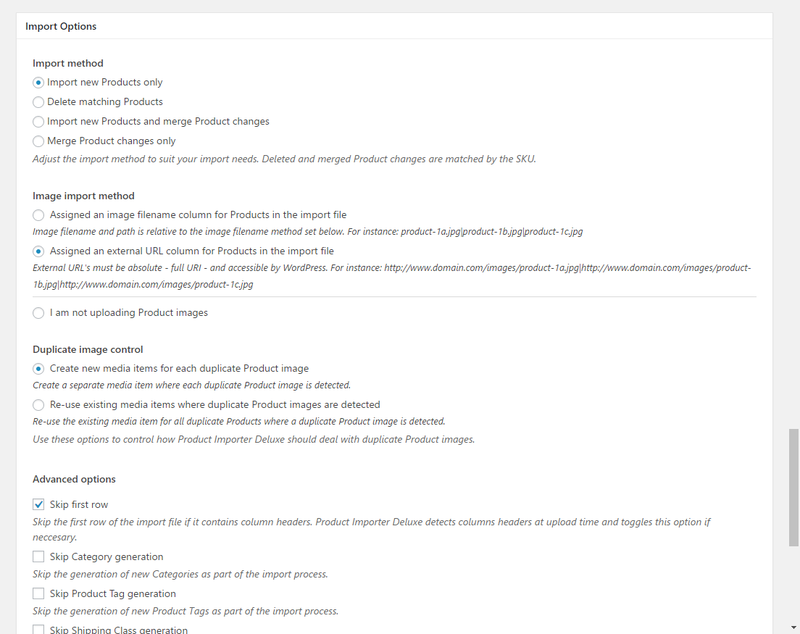 I read only now third-party integration: where can I download All in One SEO Pack for Jigoshop??? 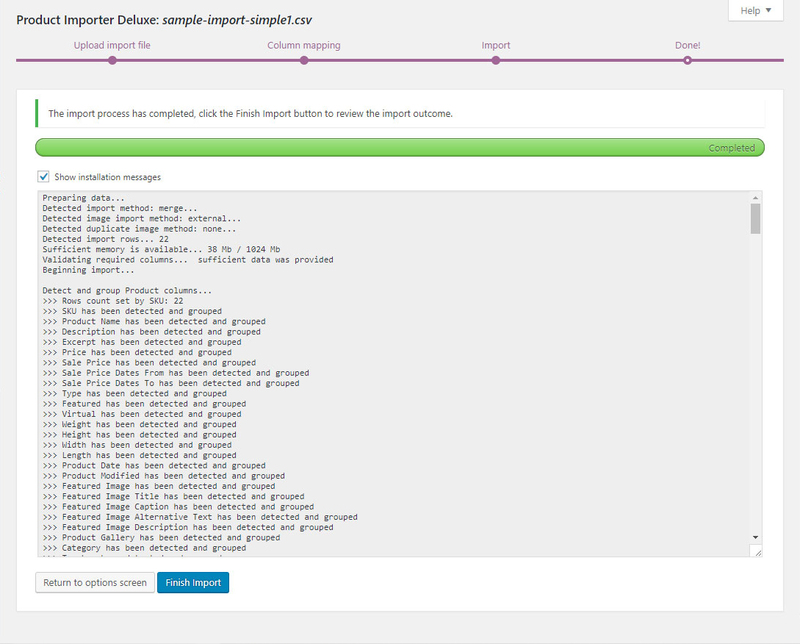 Oh, and is there any sight on when it will be possible to import variations as well? Much needed :)! 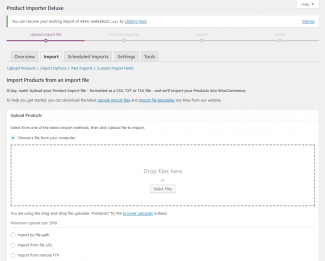 Recently I bought your plugin Product Importer Deluxe for WooCommerce, a pretty handy plugin! Okay, okay, I found it: When you upload images in WordPress the spaces are converted to _ unscores and brackets are deleted. So the plugin is not able to find the image (2000_white_red-2lr1.jpg instead of 2000_white_red (2)lr.jpg), which gives the error. For such an expensive plugin, I really expected more. 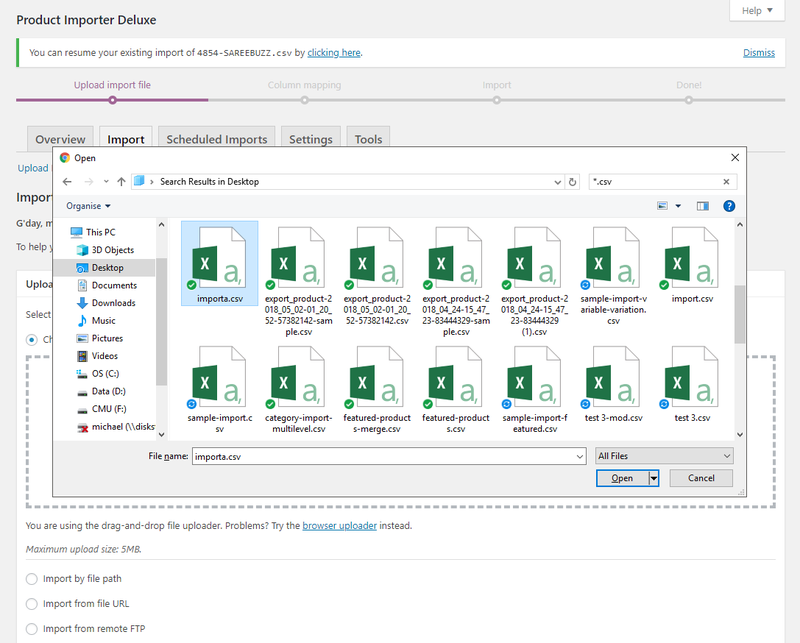 You guys need to add some kind of column mapping so we don’t have to re-match all the columns in each import. And I was only importing 486 products. 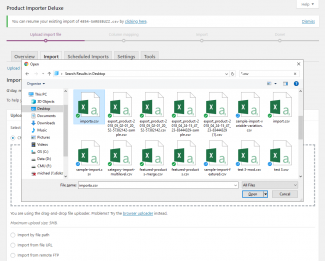 I had to split the file in 8 parts so the importer would take it without giving me a 500 error. 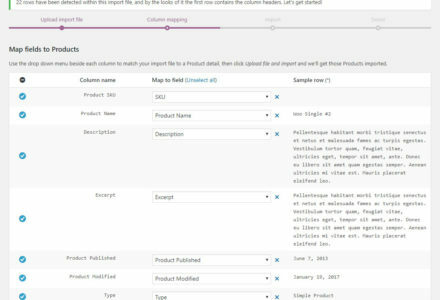 Hi Carlos, column mapping is supported, simply use the sample CSV templates provided and the importer will link them up for you. 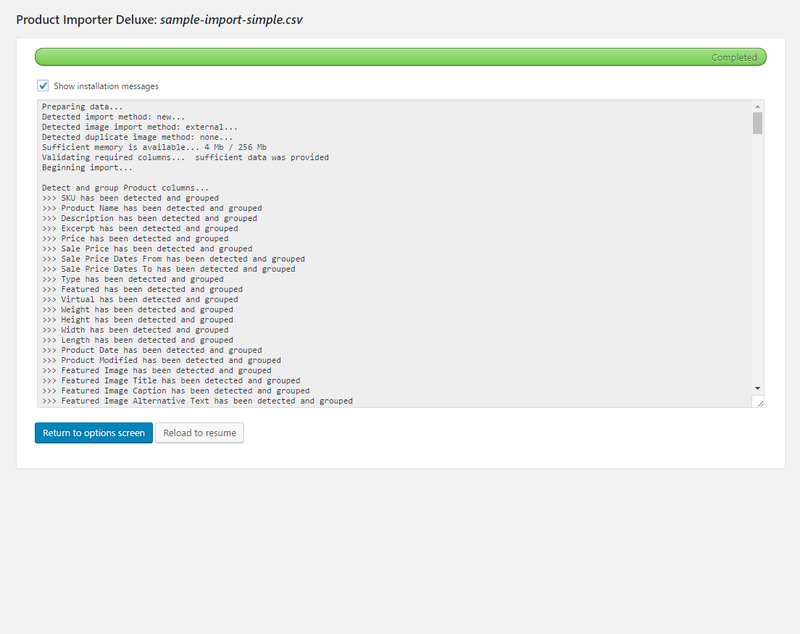 I’ve raised an Idea to remember column mappings when the same CSV file is re-uploaded after import (e.g. merging updates). 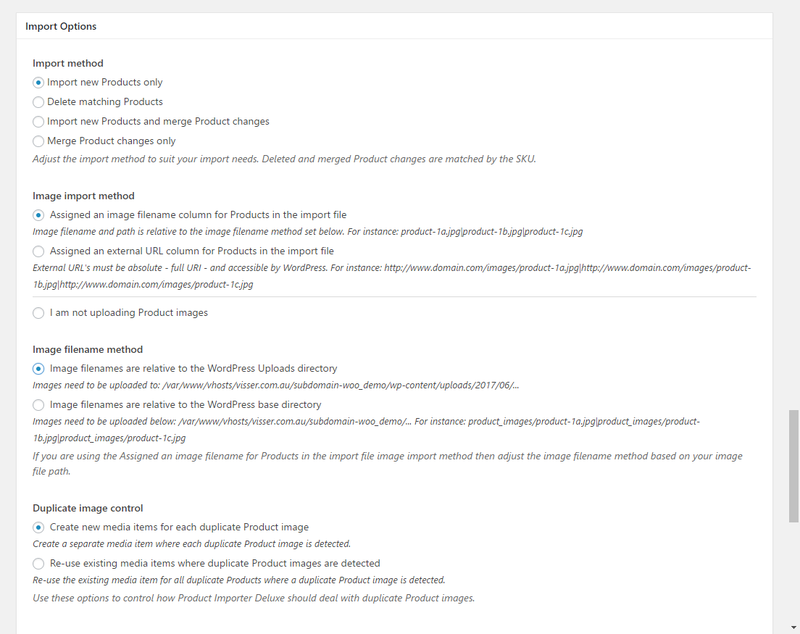 Whenever I try to update an existing product the new attributes aren’t added. 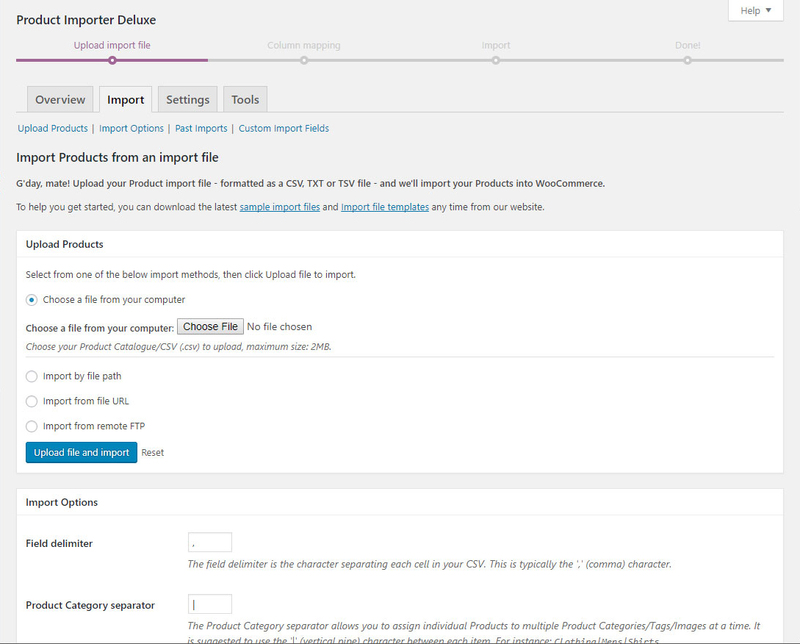 For example, a product might have the attribute ‘Bat Size’ with size 1,2 and 3. I then want to merge the product with an updated version including adding sizes 4 and 5 to the current three. 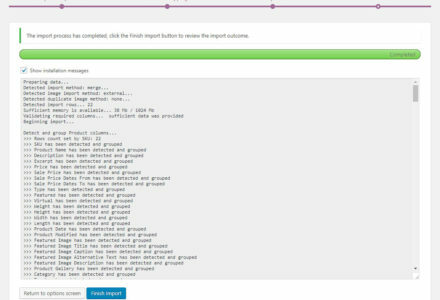 However, when merging (checking ‘I am merging Product changes’ on import) this doesn’t happen. The only way I can get round this at present is if I completely delete the original products and re-upload from scratch. Also waiting on this product. Any new update on time before its in the extensions shop? I ‘m very interested in the plugin, but i see no possibility for making subcategorys. 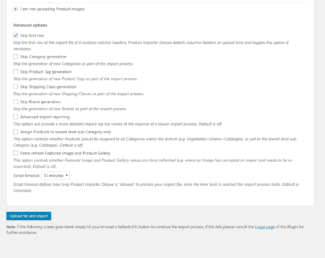 And can I send only one picture per product? 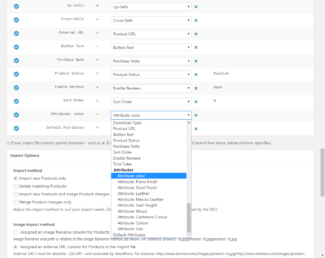 Hi Ger, you can create sub-categories by filling the Category column as below. This will create the Categories lists above and set the ‘Category A’ as the parent Category and ‘Category B’ as its child Category with ‘Category C’ belonging to Category B. 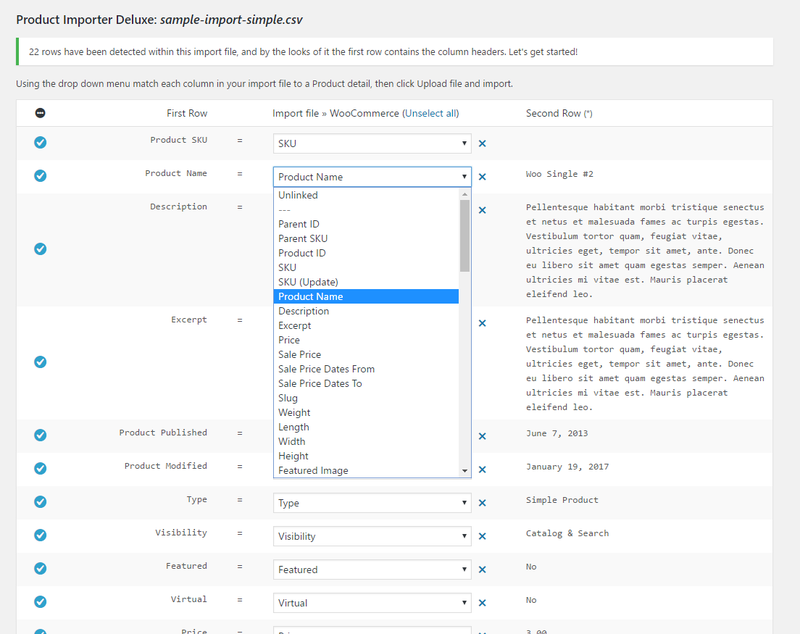 Does product importer only support csv files? I would also like to import amazon products. How to accomplish this ? Thanks a lot for the reply! Do u by the chance have a coupon code for purchasing this plug-in? Discount? It seems a bit pricy…or is it maybe going to go on sale soon? 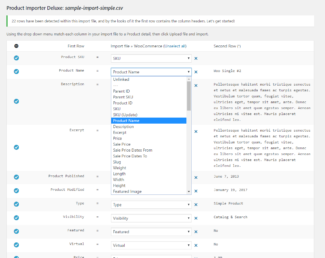 Is the product importer able to handle a CSV file exported from ShopperPress? Hi Tom, ShopperPress will work as the minimum required fieldsa re all in there. SKU, Product Name, Price and Category. 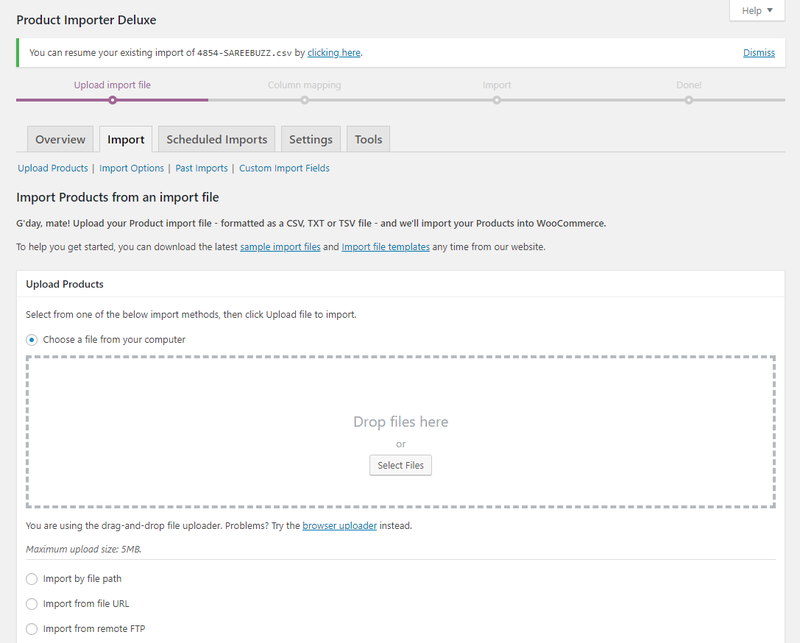 Here are how the columns match up with my importer. ok. awesome pcoudrt, everything i need. i am ready to purchase. i have a thousand pcoudrts i want to upload. they are in 26 categories.each pcoudrt (letter number) has a corresponding 426 640 image in a file on the server. 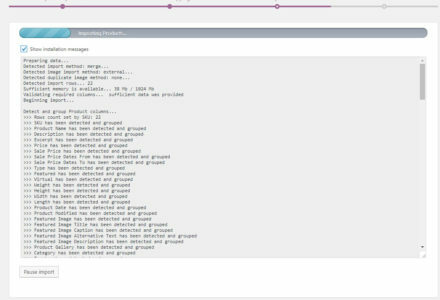 ../image/letters/a/a1.jpg and so on I assume that the image column in the csv (sample) will be able to handle these requirements.please advise.any other feedback or comments that are public about your pcoudrt? Any idea when the variation support will be implemented into this plugin? 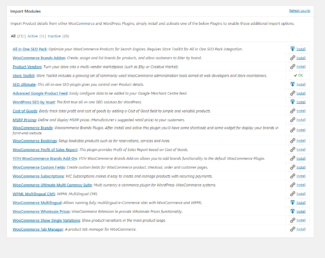 I see a huge calling for it everywhere from the poll in your WP e-Commerce version of this plugin to the Woo Ideas site to forums across the web. 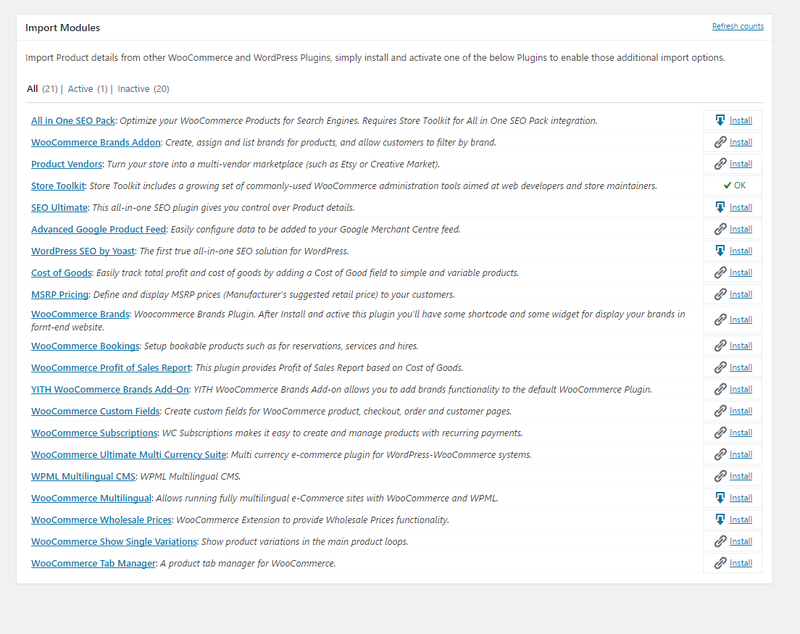 That capability alone will be the factor whether or not I use WooCommerce or a different solution like Magento. Please let us know an ETA if possible! 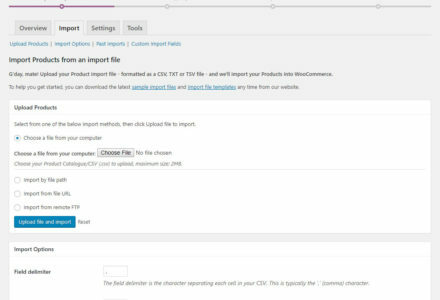 Is it possible to import into a custom taxonomy? I registered two new custom taxonomies in WPEC called Make and Year. Is it possible for me to import into these? 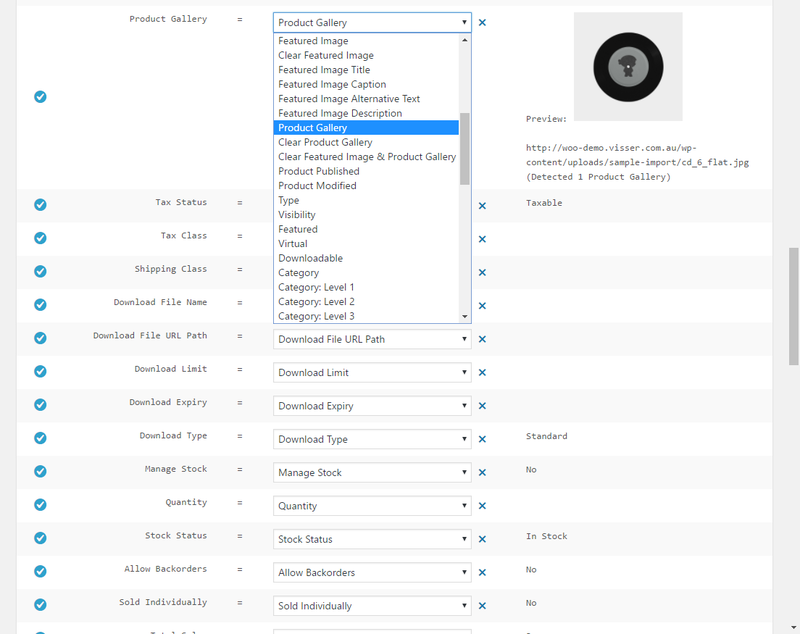 Hi silent_soft, custom taxonomies are not supported, I have added Plugin filter support so you can just clone the generate_categories() and process_categories() functions to suit your needs. 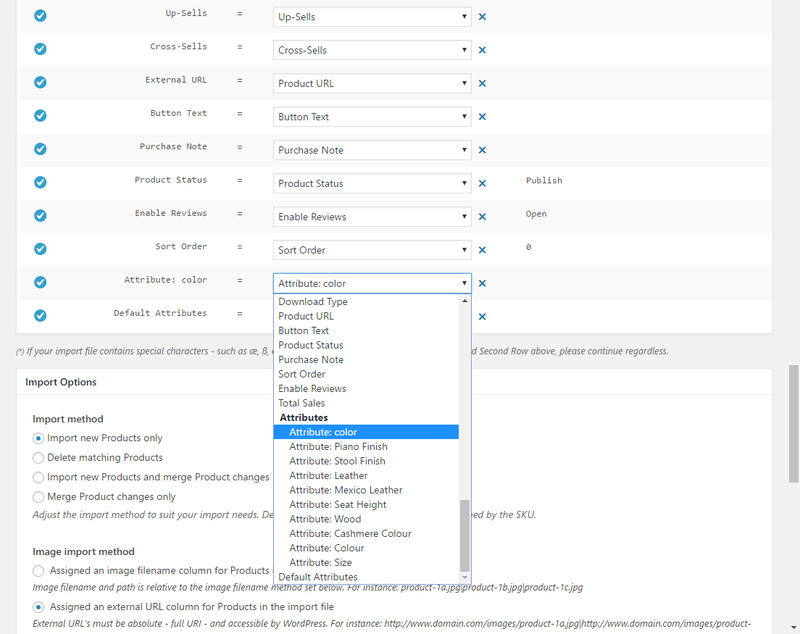 If you could recommend a way to detect linked custom taxonomies within WP e-Commerce then I’d happily add support for automating the import of this. 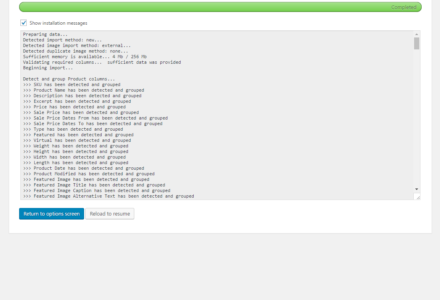 Now that you mention the auto-detect issue, it makes good sense why this isn’t built in. I AM using 2 custom taxonomies though. Would you consider telling me what code I need to edit/add to get Importer Deluxe to import to these for me?